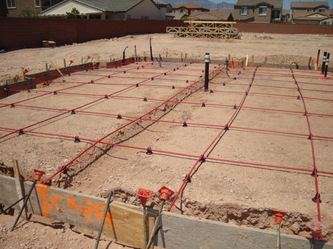 Foundation/Concrete Slab Click on the pictures to view larger images and captions. 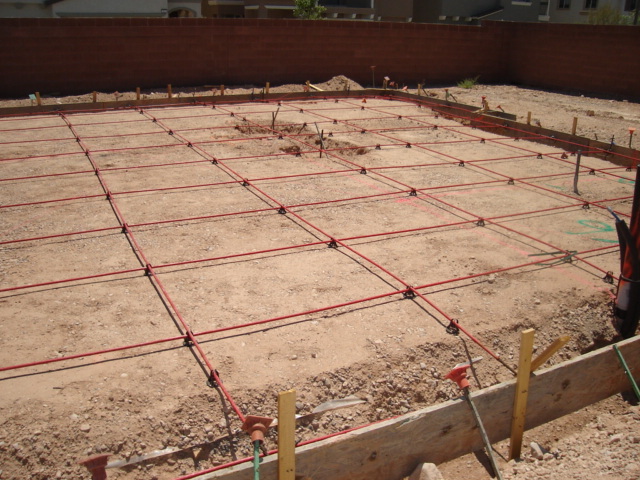 For the last 20 years or so, the majority of the concrete slabs have been constructed with post tension cables installed. 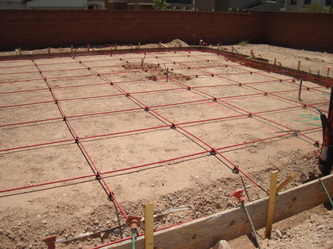 You can see the cables which are laid in a grid pattern, normally every 4 feet. 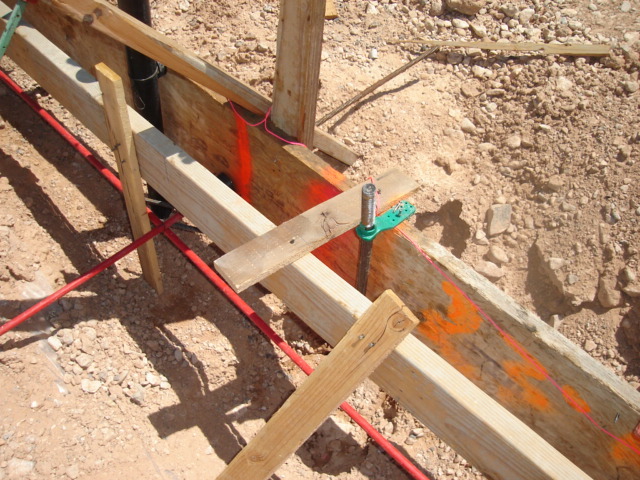 After the concrete has cured to 75% of its designed strength, the cables are pulled taunt to 25,000 PSI using a hydrolic jack. 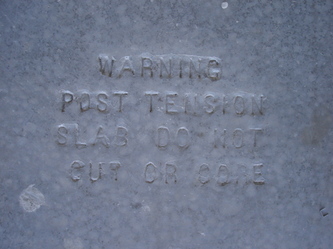 This is the "post-tension" put on the cables. 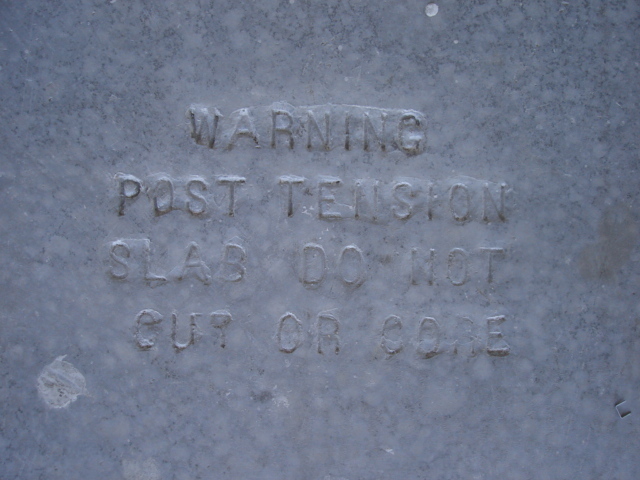 The pull end of the cables are anchored and the excess cable is cut off and patched with concrete to blend in with the slab. 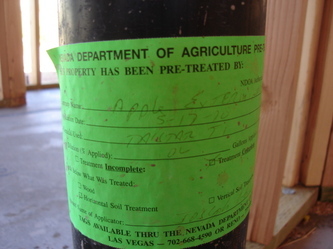 Required pest treatment prior to concrete. 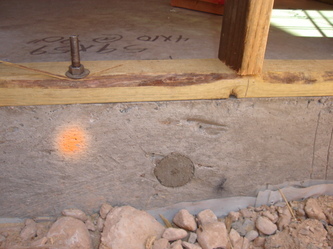 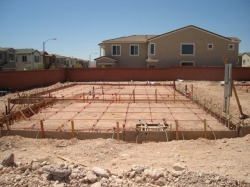 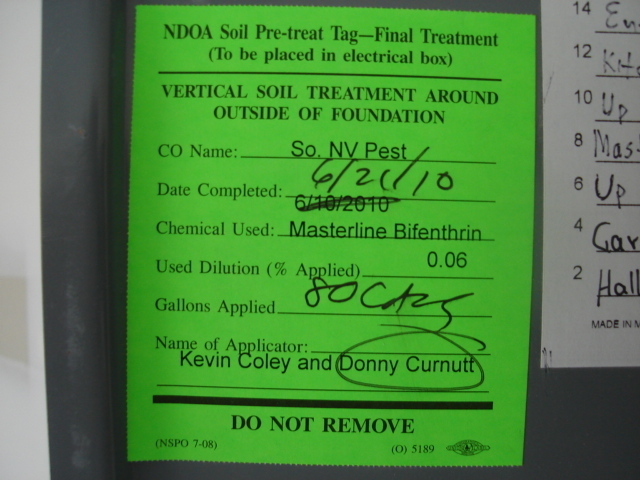 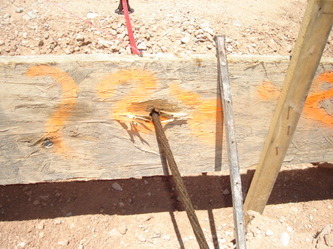 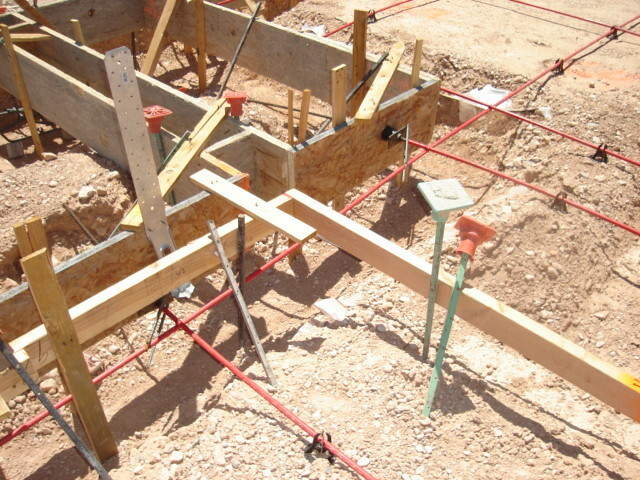 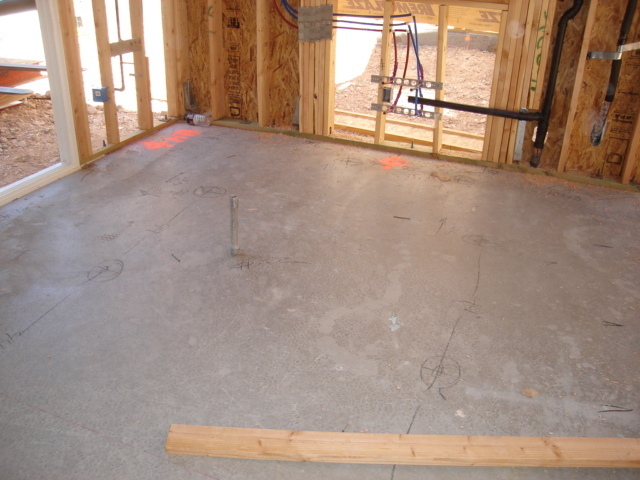 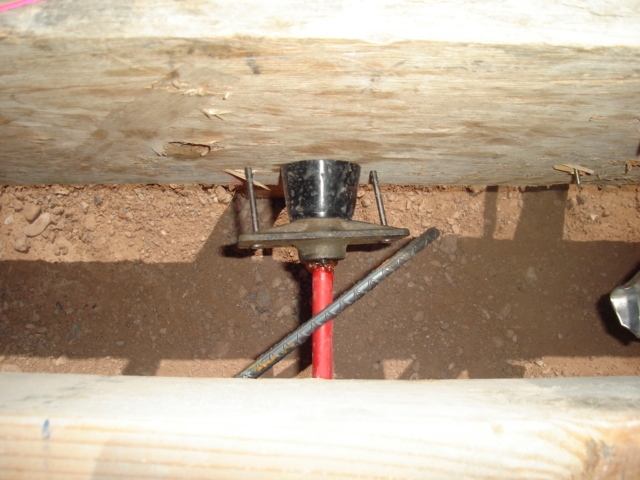 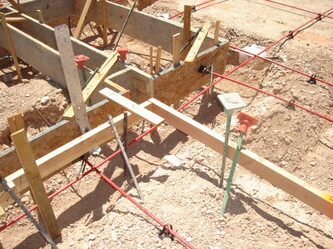 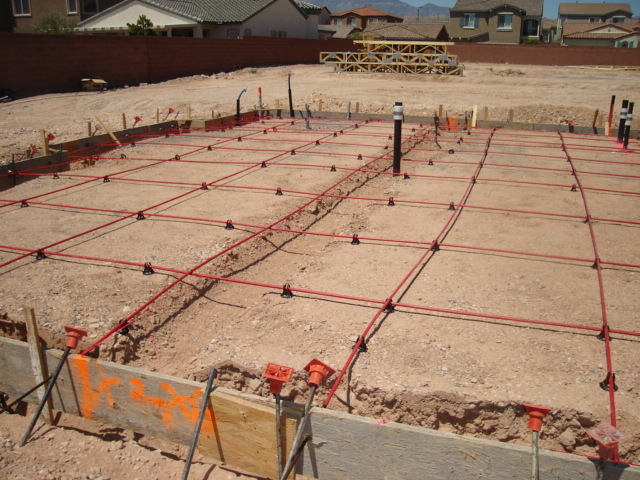 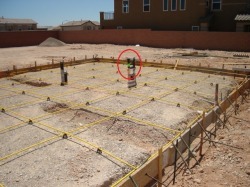 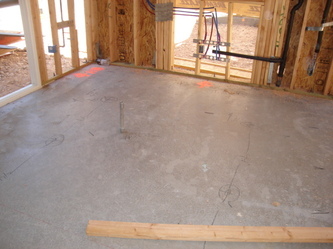 All new homes are are required to be treated for pests prior to the concrete being poured. 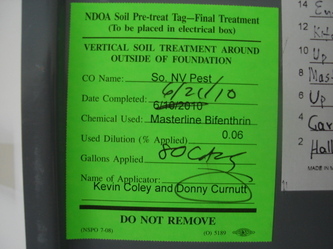 Note the green sticker. 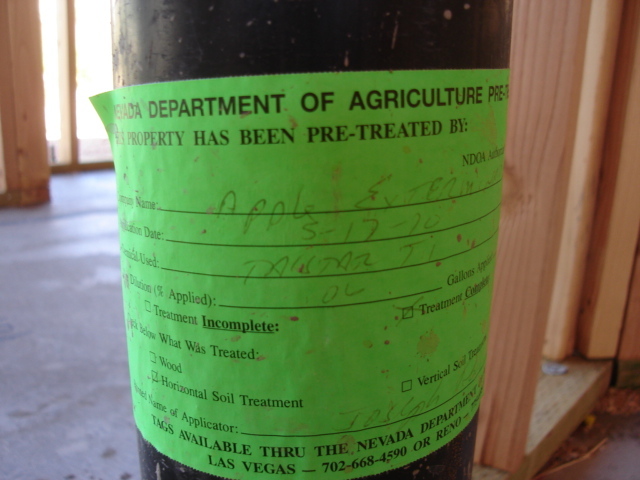 This lets the building inspector know that the soil has been treated and the concrete may be poured.